I must admit, entertaining with take-out is just as fun. 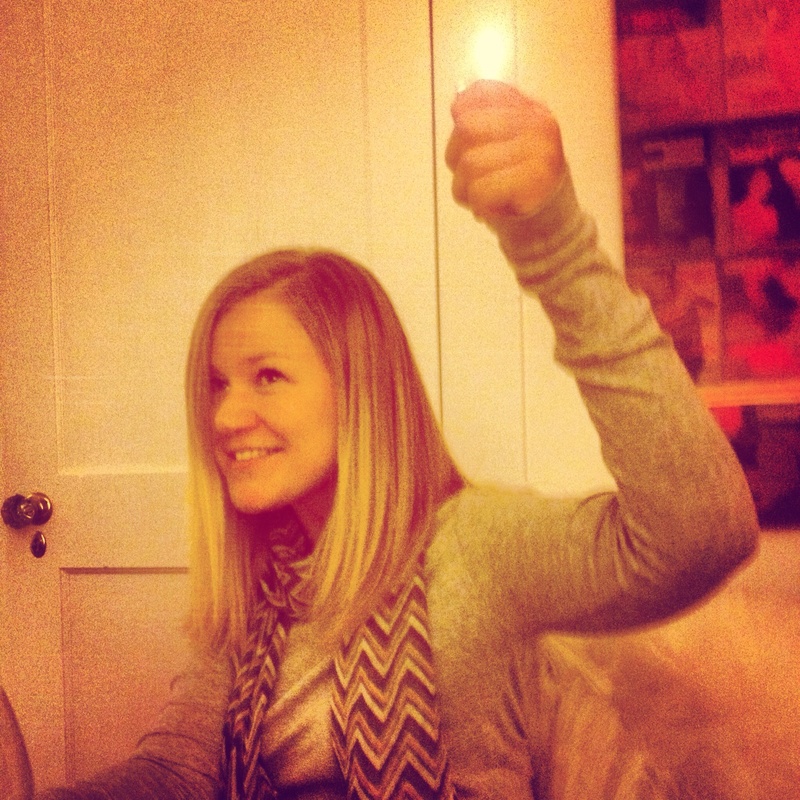 This Friday night, after a very busy week, I still wanted some quality time with friends. There is no doubt the happiest people on earth make time for their friends. 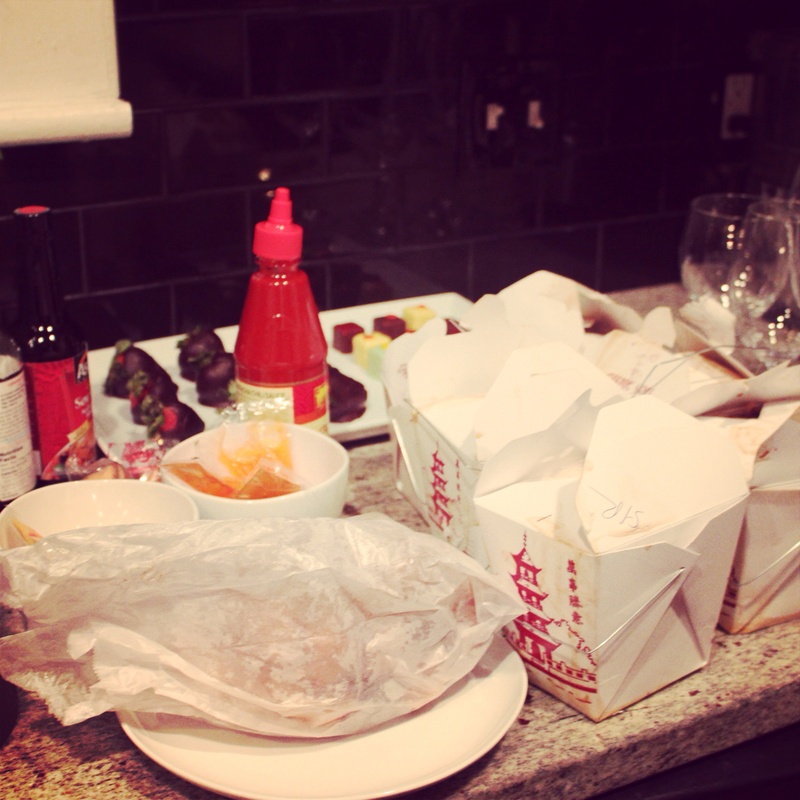 So, I invited a group of girl friends over for take-out Chinese food, red wine and desserts. We gathered in my small den but my old box TV and watched the opening games of the Sochi Olympics with our very own Russian translator. 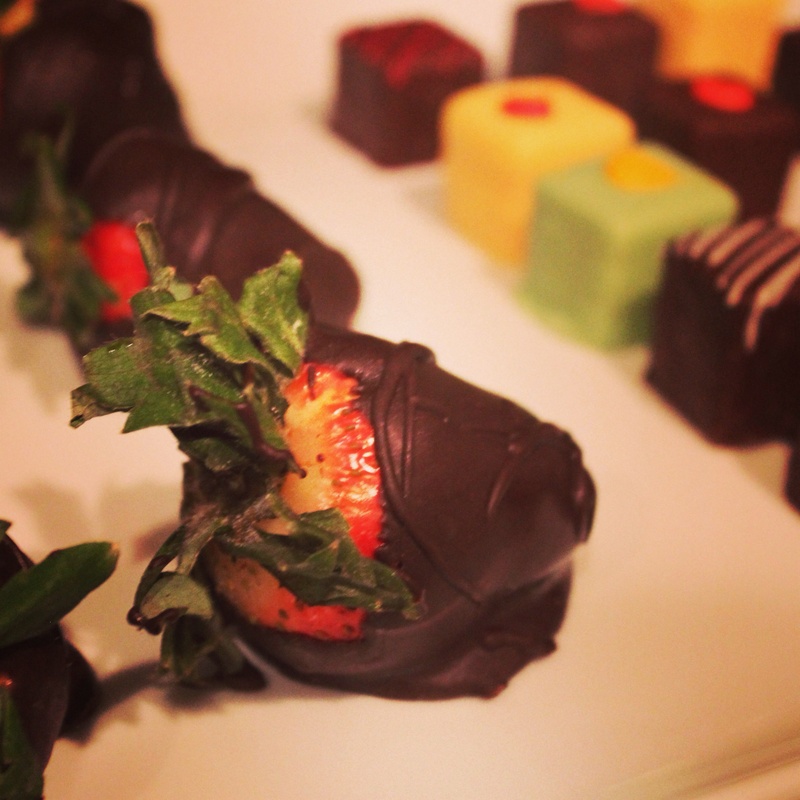 I picked up a variety of chocolate covered strawberries and petit fours from The Fresh Market dessert counter. They were elegant and decedent and a perfect late night spread. It also proves that you don’t need a romantic date to appreciate these little elegant desserts! Many of you ask me how I find the time to entertain so much. In fact, sometimes I do entertain with out cooking at all. And it’s just as fun.